Vaughan Raymond Brown (born 3 November 1959, Christchurch, Canterbury) is a former New Zealand cricketer who played in two Tests and three ODIs. Brown was a left-handed middle order batsman and a right-arm off-break bowler. In a first-class career spanning from 1978 to 1989, he played 83 matches for Canterbury and Auckland and took 190 wickets. He was the first recipient of the New Zealand Cricket Councils Young Player to Lords scholarship, in 1979, but his tenure there was cut short due to an injury sustained in a car accident. In the early 1980s, Brown figured highly in both the batting and bowling averages in New Zealand domestic cricket. In 1982-83, he was second to Richard Hadlee in the national bowling averages. 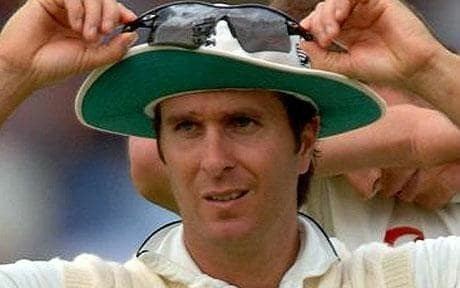 He was picked for the Young New Zealand tour of Zimbabwe in 1984 and the following year he went with the full Test team to Australia. Selected for the first Test at Brisbane, he batted steadily at No 7, took the one wicket that Hadlee did not take in Australias first innings collapse and held three catches as New Zealand recorded their first-ever victory in Australia by a margin of an innings and 41 runs. But he had no success on a spinners wicket in the second Test at Sydney and was dropped for the subsequent matches. Brown never regained his Test place, but in 1988 he was picked for the New Zealand team that contested the World Series ODIs, again in Australia. This time there was little success for either Brown or the team, with all three matches lost. He retired from regular cricket after this season, though he appeared in one further first-class match in 1989-90.